Last Updated: December 12, 2018 | Subscribe to our weekly newsletter! It’s been a long day at work. All you want to do is come home, put on your swimwear (or go naked—we’re not judging), and have a nice, long soak in your hot tub. But when you remove the cover, you find the water has gone from crystal clear to cloudy with a chance of ick. What happened?! This tragedy can be prevented. All it takes is a little know-how, a little elbow grease, and having the right spa chemicals on hand to keep that water clear and ready at all times. Set up your water maintenance arsenal, and you’ll never have to forgo a relaxing soak again. It’d be great if you could just fill up your hot tub with water and use it with no worries of it getting dirty, or the water eventually becoming a swirling soup of dead skin cells and body oils. But that’s just not the case. 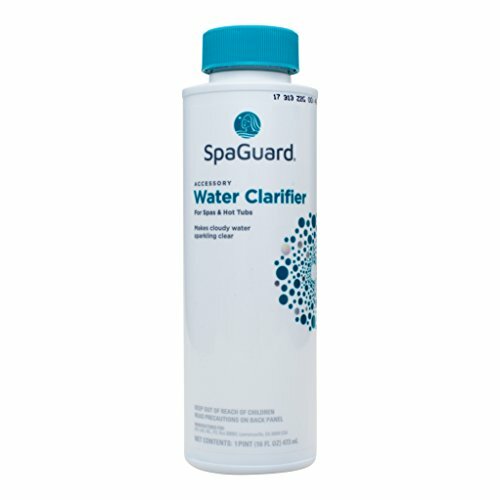 To keep your water not just clear but sanitary, you must add spa chemicals. There’s no way around it. Slack off in this area, and you’re asking for a questionable soak, damaged equipment, and possibly even hot tub–related illness. Never underestimate how important it is to keep your hot tub sanitized and clear. The only way you’ll be certain you’ve added enough of each chemical you use is to regularly test your water. Be sure to keep test strips If you click this link and make a purchase, we earn a commission at no additional cost to you. 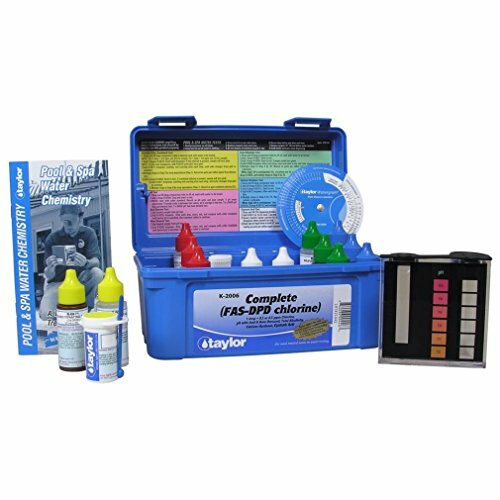 or, for more accuracy, a liquid test kit If you click this link and make a purchase, we earn a commission at no additional cost to you. stocked and on hand at all times. 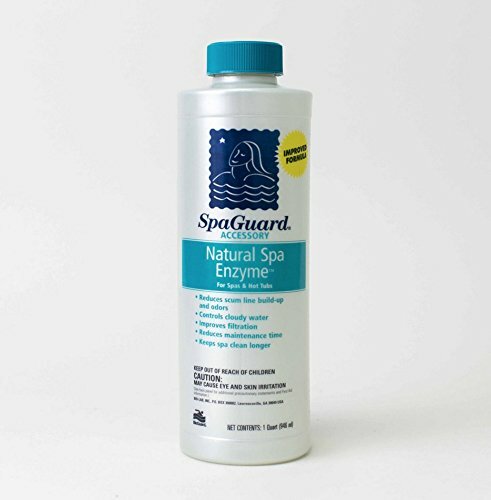 Maintaining sparkly clean water is a snap as long as you keep certain spa chemicals available. It’s not luck—it’s science. And good planning. Put them together, and you’ll be ready for anything that unbalanced water throws at you. This is a no-brainer, right? The best way to keep your water clear is by keeping it clean. If you’re not using a sanitizer in your hot tub, you’re just asking for trouble. How much do you need? Well, the amount you add will depend on your hot tub’s volume. But in order to reap your sanitizer’s benefits, you do need to shoot for certain levels measured in parts per million (ppm). Chlorine If you click this link and make a purchase, we earn a commission at no additional cost to you. : The ideal level is 3 ppm to 5 ppm. 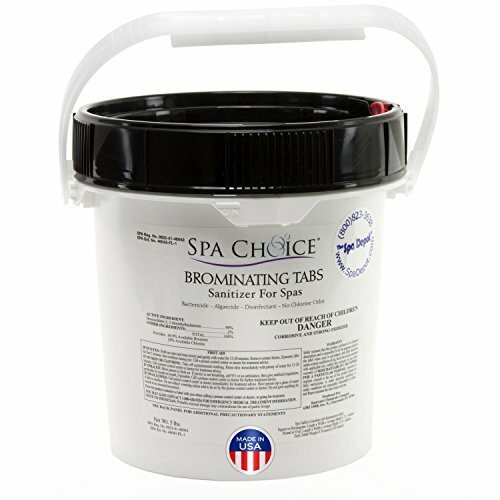 Bromine: If you use granules If you click this link and make a purchase, we earn a commission at no additional cost to you. , shoot for 3 ppm to 6 ppm. If you opt for tablets If you click this link and make a purchase, we earn a commission at no additional cost to you. , the ideal level is 2 ppm to 4 ppm. Biguanides If you click this link and make a purchase, we earn a commission at no additional cost to you. : Shoot for 30 ppm to 50 ppm. Salt If you click this link and make a purchase, we earn a commission at no additional cost to you. : Whether you’re using a chlorinator or a brominator, the chlorine and bromine levels still apply. Minerals If you click this link and make a purchase, we earn a commission at no additional cost to you. 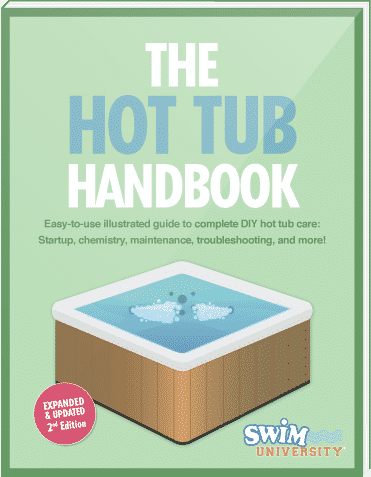 : It’s important to note that minerals alone won’t completely sanitize your hot tub. They do kill bacteria, but at a much slower rate than chlorine or bromine, so they’re really a supplement to those sanitizers. They do allow you to reduce the amount of chlorine or bromine you use, though, which can also save you money. How much you use and how much chlorine or bromine you’ll need to add will depend on the mineral system you choose. Our best advice is to follow the manufacturer’s instructions. Which sanitizer you use is up to you. We’re partial to bromine, chlorine, and salt for their effectiveness (and for salt’s ability to create a softer soak), but you need to choose what works best for you. Even if you’re keeping your sanitizer levels exactly where they need to be, your hot tub can benefit from a weekly shock If you click this link and make a purchase, we earn a commission at no additional cost to you. (or more often, depending on bather load). But what makes this one of the most important spa chemicals around is its ability to give your hot tub some super sanitizing when it needs it. Seeing algae starting to bloom in your spa? Did you wake up to a cloudy hot tub? Shock to the rescue! It’s not the only thing you’ll need to do, but it’s one of the more effective methods to quickly clear things up. When balancing your water, alkalinity is one of the first things you’ll adjust so the pH can fall in line behind it. It can be a delicate operation to get alkalinity levels just right, and if your water’s alkalinity gets too high—more than 150 ppm—you may see scale start to form in your hot tub. For this reason, you absolutely must keep an alkalinity decreaser If you click this link and make a purchase, we earn a commission at no additional cost to you. in your spa chemical storage cabinet. And when balancing your water, try to keep the alkalinity level between 125 ppm and 150 ppm. 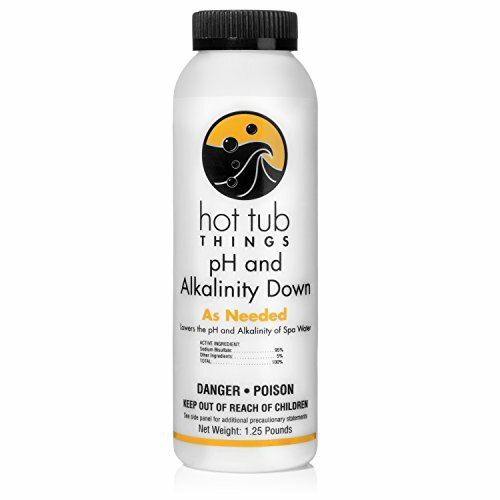 Once you have the alkalinity where it needs to be, turn your attention to the hot tub pH level. Ideally, you want your hot tub water to have a neutral pH of 7.5, but if you can at least get it somewhere between 7.2 and 7.6, you’re in good shape. Too-high pH is one of the main causes of cloudy hot tub water. 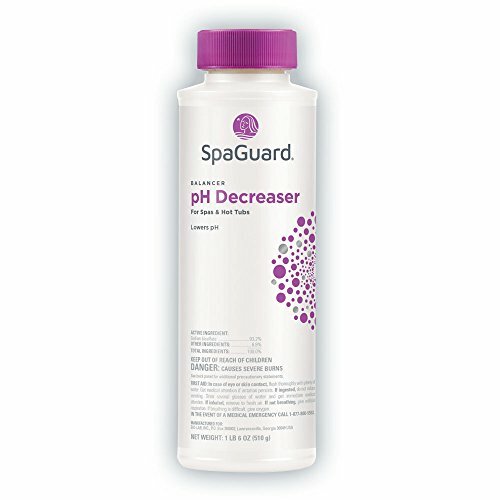 If the level goes above 7.6, and you start to see problems, try using a pH decreaser If you click this link and make a purchase, we earn a commission at no additional cost to you. to brings things back down to normal. You may remember a few things about enzymes from your last biology class, but you probably didn’t study how they can help a hot tub. Just like the enzymes in your body that help break down proteins, starches, and fats, the hot tub enzymes If you click this link and make a purchase, we earn a commission at no additional cost to you. can help break down organic contaminants. We’re talking about things like skin cells, body oils, leaves, twigs, dirt, insects, and all kinds of other nasties that can end up in your hot tub. Those organic substances can break down and leave a gross film on top of your water, and a scum ring around your spa. The longer that stuff sits there, the more you’re going to struggle to see the bottom of your tub. Now, technically, enzymes don’t really count as “chemicals” because they’re naturally occurring substances. But we’re including them because they can help keep your water clear, and they’re almost always available along with all the other spa chemicals you can buy. Heck, if we’re talking about keeping water clear, why didn’t we just start with the clarifier?! Because it’s not a maintenance item, it’s a temporary measure. Water clarifier If you click this link and make a purchase, we earn a commission at no additional cost to you. treats the symptom, not the cause of cloudy water, so it’ll clear things up for a little while, but if you don’t address the actual problem, it’ll go right back to the way it was once the clarifier wears off. So why have it? Well, say you’re planning a hot tub get-together, or maybe a romantic evening with your sweetie, and the water’s looking less than inviting. Instead of spending a lot of time on testing and balancing, you can just pour in some clarifier, and then deal with the root issue later. But remember, it’s always preferable to keep your water clear and balanced. Water clarifier is a last, temporary resort. Aside from keeping your water balanced and having the right spa chemicals and other hot tub supplies on hand to clear your water when necessary, you can do a few other things to keep your hot tub clear. Duh. Seems like common sense, right? But hey, we all get lazy from time to time, or we procrastinate. We’re human. But this is one area where slacking can get you into more trouble than just not-so-clear water. 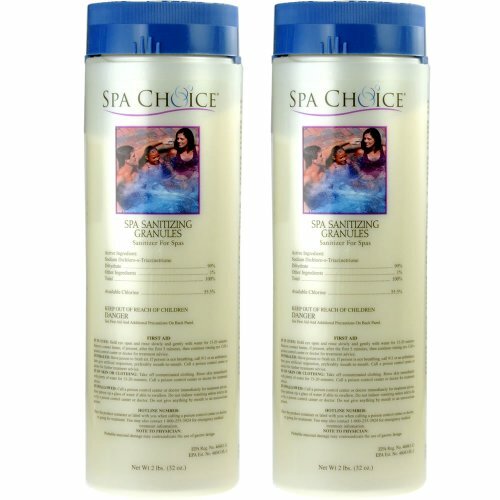 Use a good hot tub cleaner If you click this link and make a purchase, we earn a commission at no additional cost to you. on a regular basis to keep things sanitary, and your water sparkling. This should also be common sense, but an alarming number of people will just jump right into a hot tub (or pool) without a shower (or at the very least a quick rinse-off) because they figure the sanitizer will just take care of everything. Sure, that’s what sanitizer is for. But it only does so much. Put too much burden on it, and it becomes a lot less effective. Do your part and help your sanitizer out by showering—yes, with soap—before you soak. This is even more important when you’re a guest in someone else’s hot tub. Or when someone’s a guest in yours. Need another reason? We have two words for you: gluteal fold. We’re going to let the Water Quality and Health Council explain that one. The filtration system in your hot tub has a tough job. It’s there to remove everything from small bits of debris to bacteria (depending on the type of filter you have) from the water to keep you safe and healthy. But if you’re not cleaning it on a regular basis, you’re making it a lot more difficult for the filter to do its job. It can’t grab all the debris and gunk if it’s already full of debris and gunk. Do your filter, your hot tub, and yourself a favor by cleaning it regularly If you click this link and make a purchase, we earn a commission at no additional cost to you. . Even if you clean it on the regular, your hot tub filter will still need to be replaced eventually. Keep an eye on its condition when you remove it for cleanings, and replace it when cleaning just isn’t enough to get it, well, clean anymore. Remember those organic substances we talked about floating on top of the water, creating a nasty ring of scum in your spa shell? 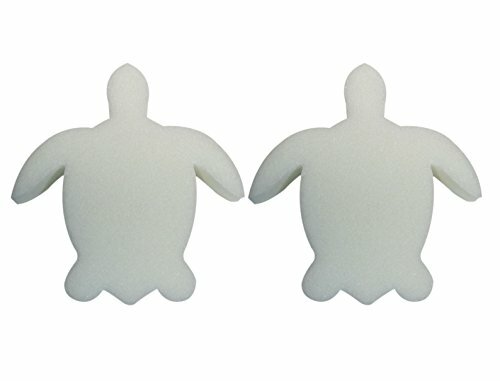 Tossing a couple of hot tub sponges If you click this link and make a purchase, we earn a commission at no additional cost to you. or a few tennis balls If you click this link and make a purchase, we earn a commission at no additional cost to you. into the water will help keep that film at bay. The sponges or the fuzzy exterior will soak up some of the oil and other things that can cloud your water. Just remember, they won’t work forever. While you can wash them and keep using them for a while, just like anything else, they’ll eventually need to be replaced. 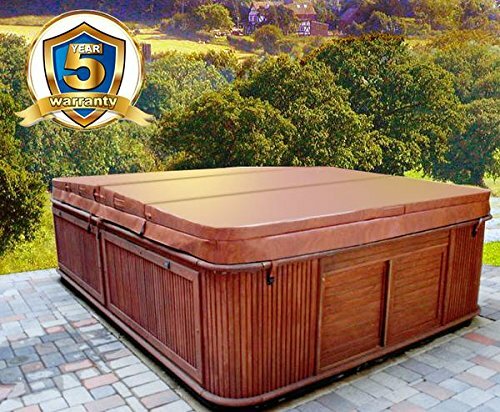 Whether your spa is outside and exposed to leaves and bugs, or inside and exposed to dust and maybe a too-curious dog, using a hot tub cover If you click this link and make a purchase, we earn a commission at no additional cost to you. will help keep things out that can dirty your water. This also means less work and fewer chemicals, which translates to less money spent on maintaining your hot tub. If you don’t have a cover, get one. So you’re already cleaning your hot tub regularly. That’s great! But you know you can’t just keep the same water in there forever, right. Think about that for a minute. Do you really want to? At least quarterly, drain and clean your hot tub. This is also the perfect time to use a line flush If you click this link and make a purchase, we earn a commission at no additional cost to you. to get rid of any biofilm that may be lurking in your plumbing. Give it a good scrubbing, refill it with clean, fresh water, and off you go again. Keeping your water clear isn’t always about using spa chemicals. A big part of it is simply taking good care of your investment. Hot tubs are not cheap. The better you maintain yours, the longer it will last, and the more you’ll be able to enjoy it. You’ll be better able to maintain it if you have the right chemicals and equipment available. So don’t skimp. Get what you need, and use it. Your hot tub will repay you by always being ready when you want to relax.